The descendants of some 1.5 million Armenians who were killed nearly 90 years ago in the Turkish Ottoman Empire will share in a $20 million settlement of a lawsuit for unpaid life insurance benefits. The settlement with New York Life Insurance Co. announced Wednesday will help bring justice to survivors of those killed during "a deliberate, systematic and government-controlled genocide that began in April 1915," said state Insurance Commissioner John Garamendi, who helped negotiate the agreement. Brian Kabateck, an attorney of Armenian descent who represented the plaintiffs, said the settlement is a step toward winning U.S. recognition of the Armenian genocide. "Hopefully, a large company like New York Life paying a settlement will go a long way toward achieving acknowledgment," Kabateck said. "Certainly the Armenian genocide deserves as much acknowledgment as the Holocaust and other tragedies of the 20th century." Armenians have long asserted that 1.5 million people were executed between 1915 and 1919 by Turkish authorities who accused them of helping the invading Russian army during World War I. Turkey rejects the genocide claim and says Armenians were killed in civil unrest during the collapse of the Ottoman Empire. France and Russia are among countries that have declared the killings a genocide, but the United States has not made such a declaration. 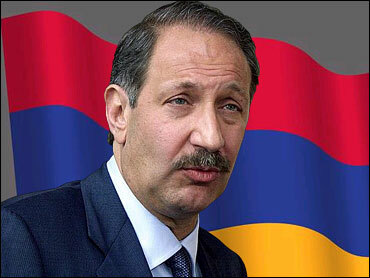 Attorney Mark Geragos, who is Armenian and represented the plaintiffs in the class-action federal lawsuit, said this is the first lawsuit of its kind settled in a U.S. court by a private entity. "New York Life really stepped up to the plate," he said. Garamendi said the settlement, which was hammered out in negotiations over about four years, involves about 2,400 insurance policies. Sy Sternberg, chairman and chief executive of New York Life, said the company was more than willing to settle the claims, having first tried to do so in 1915. "When it became clear that many of our Armenian policyholders perished in the tragic events of 1915, New York Life hired an Armenian lawyer in the region to assist the heirs of those who died, so as to promptly pay claims," Sternberg said. The company said it located about one-third of the heirs to policy holders and were able to pay them; the rest of the policies languished until now. Of the $20 million fund to be established, at least $3 million will go to charitable organizations involved with the interests of the Armenian community. Geragos said the case also brought to light invaluable historical records on the people who died in the massacre. The records will be posted on a Web site available to families wanting to trace their ancestors' histories. Although the case was brought in Southern California, which has the nation's largest Armenian-American population, the settlement is open to claims from survivors worldwide. The agreement must be approved by U.S. District Judge Christina Snyder, who has scheduled a hearing for Feb. 15.